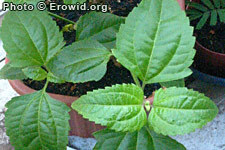 Calea zacatechichi is a medium sized shrub that has reportedly been used by the Chontal indians of Mexico as a hallucinogen. Its dried leaves are used before sleep to increase dreaming. Its effects are not well documented.